Are you as excited as I am that the holidays are almost here?? 😄 I know it’s not even Halloween yet, but now is the perfect time to begin thinking about holiday family get-togethers and parties you may host. And the one area of the kitchen that is most neglected is the Pantry. Am I right? Bulk food is bought and never used, snacks are bought and thrown in haphazardly, and it’s almost impossible to find what you’re actually looking for, so you go out and buy more! 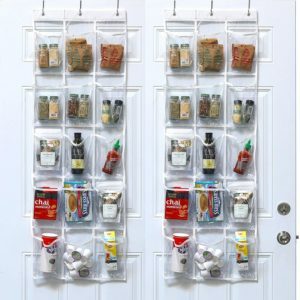 I really like this article on Pantry Organization, and it includes some products that will make organizing your pantry easier. Call me if you need help! 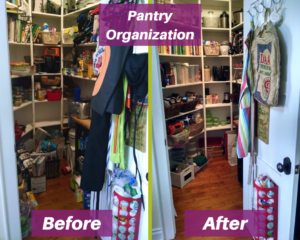 If the idea of organizing your pantry by yourself seems too overwhelming, I’m happy to help! 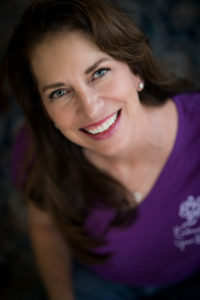 I can have your pantry in tiptop shape in no time! 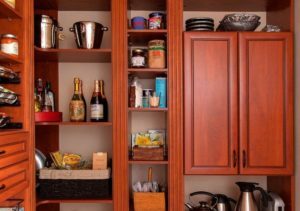 If you are looking for a simple way to add more storage to your pantry, this could be the right solution for you! 15 clear pockets with room for spices, bottles, and boxes. It hangs over your door, so no additional hardware is needed for installing it! As a closet designer, Alice works closely with her clients and shows them in practice how to maximize their living space with beautiful and flexible home organization systems. It all starts with a consultation where she takes her clients on a tour around their home and discovers how they are currently utilizing their closets and other storage spaces. After that, she draws up a plan with our 3D design software to show how the space would transform after installation. 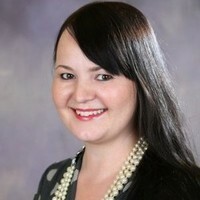 She is very proud to be part of the team at S & S Cabinets. They are family-owned and operated and work hard to keep their clients happily organized.